Trigger Warning! This post officially flips the Twitter terminology from “favorite” to “like.” If this might cause you emotional turmoil, you may want to proceed with care. Twitter has changed its Favorite button to a Like button. But long before it did that, users made their own changes to the Like/Favorite button, changing the Twitter response landscape dramatically. The change is this: they use it a ton more than they use to. Many tons. Tons of tons. An aging study of Twitter Liking (Favoriting at the time) found that 2013 saw a four-fold increase in the use of Favoriting over 2012. That trend seems to have continued. But why it is being used so much more is truly fascinating. Because the why explains the what — that it is increasing. And the why is simple: People have decided that there are myriad, and strange uses, for the Favorite button beyond the obvious. People en masse, that is, acting as a market place of millions of individual decisions. 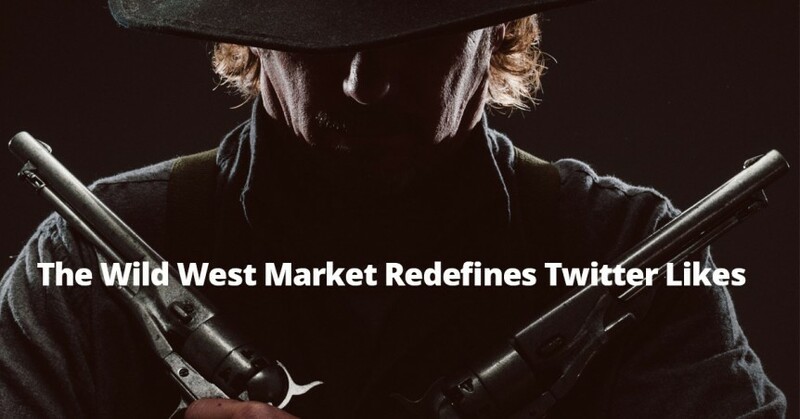 The Wild West market forces of social media just redefined the button on their own. No direction. No corporate dictate. No studies. They — we, really — just evolved it all on our own. And that means some intriguing, even beguiling, uses. But then there are some seriously unexpected uses. But when explained, they actually make sense. From Rebecca Greenfield over at thewire.com comes these three pithy insights on the unique uses. That’s a pretty nice touch. And it will probably either infuriate or diffuse. So either way, you win! The Practical Hate-Like: Some people Like a tweet simply to remind them to hate on it later, when they have time for a thorough hating. This marriage of two methods works wonderfully when you don’t have time for a blistering response at the moment. The Too-Hot-to-Tweet Like: OK, for either business or personal reasons, some tweets are just too saucy or controversial to retweet to your followers. But you can still appreciate them with a Like without taking major risks. Will Twitter changing the button’s name change the uses? Probably not, at least not right now. But who really knows. It’s the Wild West marketplace at work. For more on how to make sense of the Twitter frontier, and other hazardous ways to grow your business, check out the full discussion on this episode of the Grow The Dream Show podcast, where we rustle up some good ideas for you.